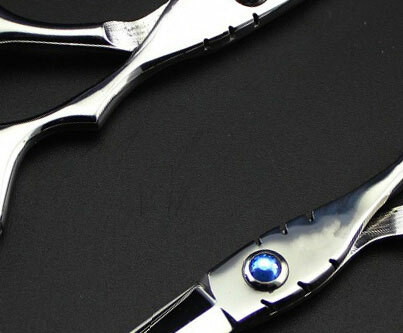 Even after 10 years, the Omega and its unique mixture of the highest quality materials and exquisite handling is still our most popular Cobalt scissor. 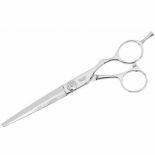 For 2012, it features an upgraded ball bearing screw system for buttery smoothness and a slightly shorter than average handle shank for quicker response and extra control. 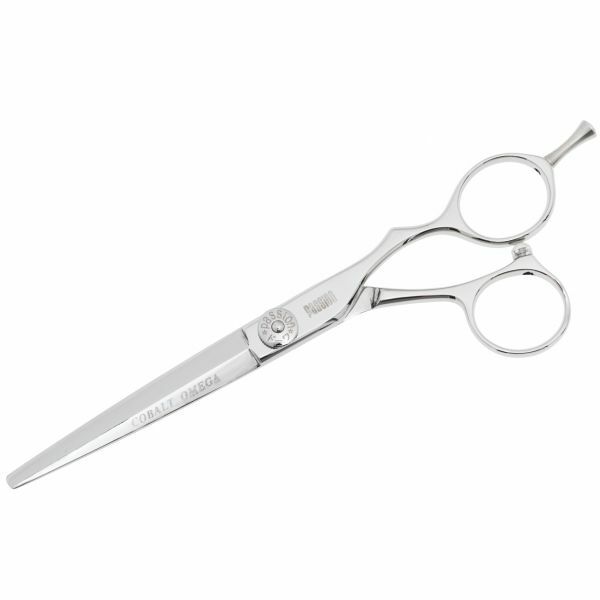 The VG10 cobalt sword blade channels equal energy down to the tips ensuring an effortless cut. The newly revamped model also features a sleeker low profile screw with a tension locking system. Hand made Passion quality. Tried and tested ability. The Omega's Roll Smoother ball bearing system has been engineered for a permanent smooth action. The low profile precision machined screw stays out of the way in tight cuts. Available sizes in 5.0", 5.5", 6.0" and 6.5".